﻿ Cranes Of Ibykus - Welcome to Austria's finest Rock Core! after two amazing shows, we can't wait to finally work on new songs. by the way, it's definitely time for a video. stay tuned and please support us at Emergenza semi-final on April, 19th 2012! check out our media section. We just uploaded our sounds and implemented a nice widget, wich enables you to comment on specific parts of our songs! Enjoy, we are looking forward to your comments. bad news guys! unfortunately we have to cancel tomorrow's show. Dirty Dave woke up with an extremely sore and swollen throat and those damn hard screams are probably not the best way to cure it. Thanks to everyone who was going to support us tomorrow.. 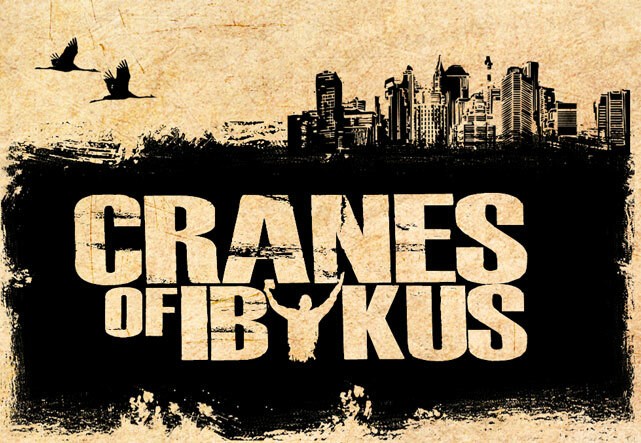 Check out the newest release from Cranes Of Ibykus! The EP "The Path" with four damn hard songs to rock your socks off!